October 15 Day of Action: With the anniversary of the Strike of 2017 approaching, two of our major wins are threatened. 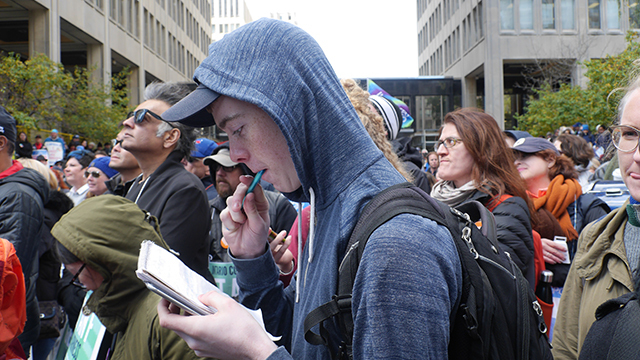 To raise awareness amongst ourselves and to the provincial government, we are asking that you sign petitions outlining our dissatisfaction as a first step towards political action. With a swipe of his pen, our provincial premier cancelled pages 117 and 118 of our Collective Agreement. That Letter of Understanding outlined the scope of deliberation and makeup of the joint union/management Committee charged with exploring the directions of the Ontario Colleges into the next 50 years. What does Premier Ford have in mind? 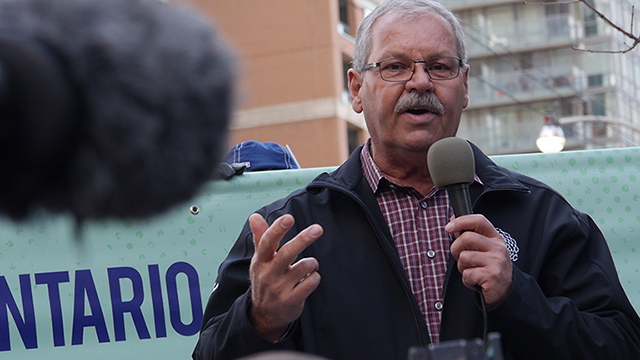 OPSEU, for our CAAT-A Division, is challenging the cancellation. The College Employer Council, the other signatory to the task force initiative, is not. They must like the idea. What’s next - cancelling pages 27, 29 (Full-time salaries), 51, 52, 53 (Partial-Load salaries)? How about Article 11 (Workload limits)? How does 20 to 22 Teaching Contact Hours/week (TCH), sound to you as per pre-1986 workloads (pre-Collective Agreement)? I’m sure it would be music to the College Employer Council’s ears. Just increasing everyone’s workload by three TCHs at Sheridan would do more than decrease the quality of education. 600 profs X 3 = 1800 TCHs, if the average prof teaches 5 three-hour courses, that would be a savings of 1800/15 = 120 jobs; it all adds up to massive lay-offs. 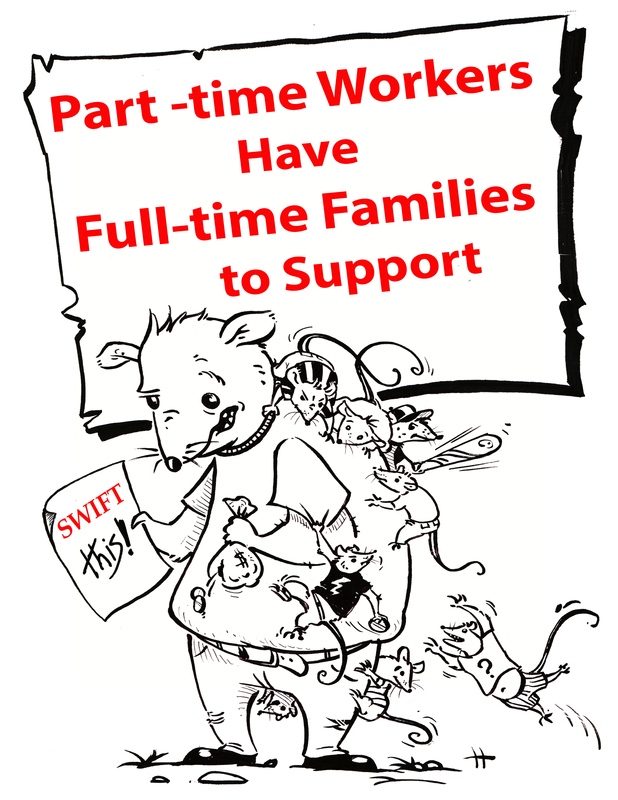 And our sacrifice of 5 weeks of pay to address the ‘precarious work’ part-timers suffer, which would have been ameliorated by Bill 148 – is now also under threat of nullification. Please bolster our legal challenge by signing our petitions next Monday October 15 between 11:00 and 2:00. 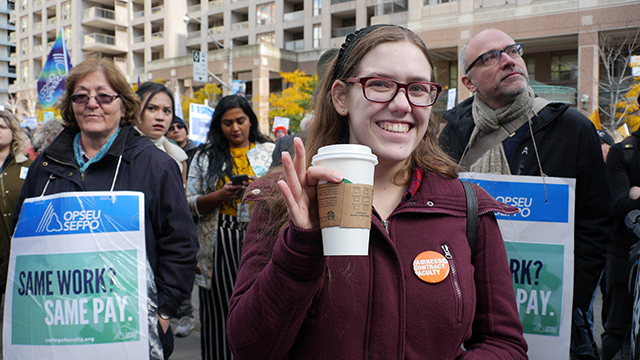 Your Faculty Union will have tables set up at each campus where you can sign petitions, grab a Girl Guides cookie and chat about the union initiatives mentioned in this email. Your Local Faculty Union, which played a major role in lobbying for and participating in the Formative Faculty Evaluation Policy, now intends to spread the self-improvement initiative to management. In the fullest sense of Academic Freedom, where managers are elected from the Faculty body for limited terms before returning to Faculty, we are hoping to enhance the transparency between management decisions and Faculty responsibilities to our students. We are currently working on an anonymous survey to be distributed annually, whereby Faculty can evaluate and comment on their managers’ successful leadership. More on this transparency initiative in the coming months with the expectation that the first MESS Survey will take place this Spring. Please be sure to come by our tables next Monday. Last week, our Divisional Executive received a letter that the newly installed provincial government has announced that they are terminating the Taskforce that was implemented under the Kaplan Award following our strike – even though it is in our CA, page 117. The Ministry of Training, Colleges and Universities states that they will consider the work already undertaken by the Taskforce in order to establish their future direction. We will be holding them to that task and working hard to put forward our unresolved issues concerning precarious work, faculty complement and collegial governance at every possible table, including some initiatives here at Sheridan. You will hear more about our local plans early next semester. We are also seeking advice as to whether we have any legal options given that the Taskforce was created out of an arbitrated settlement. I'm sure you have many questions about what this means and what actions are being taken. To ensure you have the most up to date information, make sure you have subscribed to receive local 244 emails by emailing president@local244.ca from your personal email account. Don't forget to put your name in the body of the message if your email address doesn't make it explicit who you are (I'm talking to you, best.prof.ever@hotmail.com). You can take a gander at the letter sent by OPSEU to the Minister here. The Faculty Voice is a newsletter from the CAAT-A divisional executive. 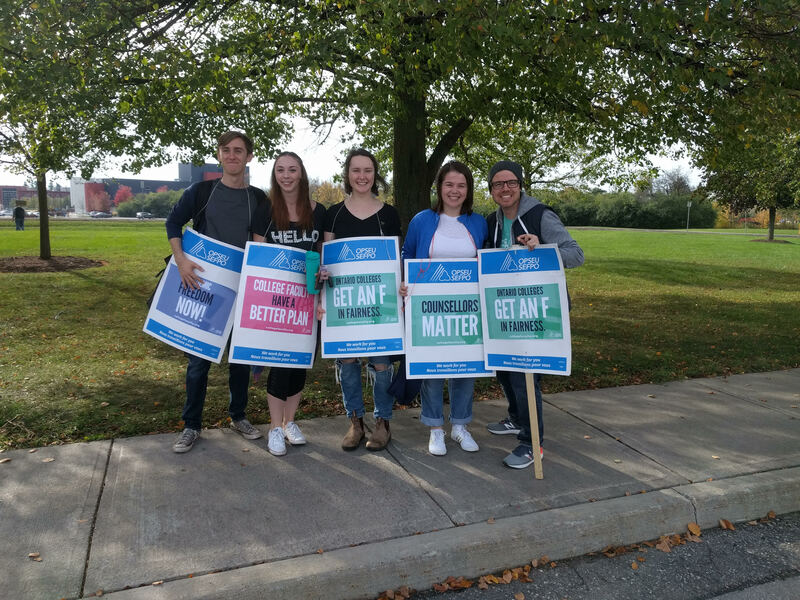 It has some great information regarding Bill 148 negotiations, the charter challenge, the part-time and sessional vote to decide OPSEU, the gains made for partial-load faculty, academic freedom, and other topics that have been on our minds. You can grab a copy here or in the sidebar. If you haven't received a copy of the newsletter in your email from OPSEU, head down to https://opseu.org/ and sign-up. The newest version of the CBA is now available. 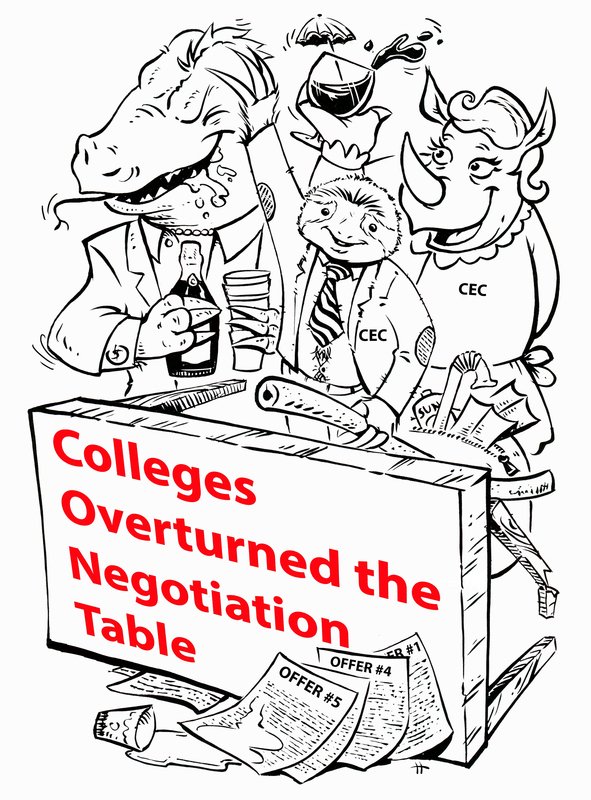 It includes all of the modified text due to the most recent round of “negotiations” with the College Employment Council (CEC) as well as the additional text due to the Kaplan award that came out of the arbitration process. 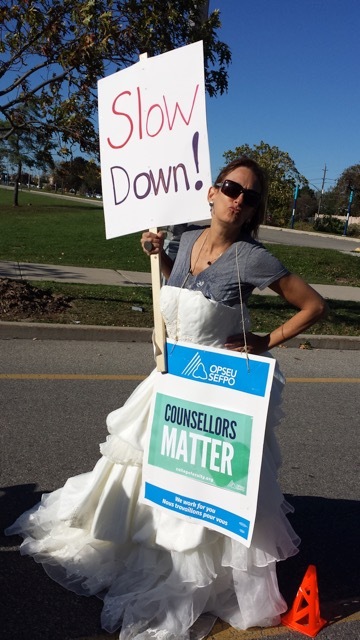 You can find a copy here, in the sidebar, or at the OPSEU website. Please join us for a General Meeting on Monday, 29 January, at the following times and places. There is a lot to discuss since the end of the strike. We hope to see you all there. 11:00 a.m. - 12:00 p.m.
Time: 4:00 – 5:00 p.m. The agenda and minutes of the last meeting are available via the email sent to your private email account. If you have not received an email, please sign up for the list by sending an email to president@local244.ca from your private email address. Following the on-going mediation process, mediation took place over last week and the arbitration happened on Saturday the 16th. We will be getting a new CBA based on the arbitrators award sometime next week, although there is a media blackout so no further information is available at this time. Looks like we will all find out together what the arbitrator has decided. Well, here we are. If you have problems with your current SWFs, your modified workload for the Fall semester, or your SWF for the Winter semester, contact your steward. 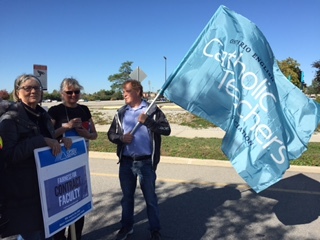 Local 244 has joined our fellow locals in CAAT-Academic in filing union-college grievances regarding the College's failure to adhere to the CBA despite it being clearly mandate to do so in Bill 178 (the Bill that sent us back to work). In good news, Sheridan is having some parties to spread some holiday cheer next week! It might be a good chance to snag some of those mini candy-canes for your kids, since none of us can afford actual presents this year. Details are here. Looking for more on the Strike? Our local 244 blog is the place. 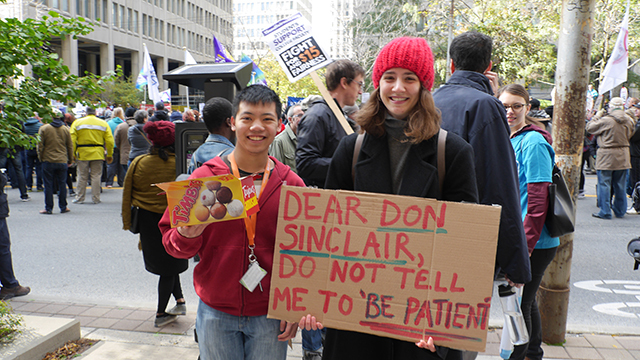 We are on the picket lines to protest the Management Council's unwillingness to recognize our aspirations for provincial collegial governance, fairness for contract faculty, and cost of living wage correction. Thanks to my Ontario NDP colleague Cindy Forster for holding the government to account. It's time to get serious about providing equal pay for equal work, including college faculty. Have you seen the latest “facts” from the College Council? Our bargaining team has provided a response that has a pretty compelling image of just how serious College Council seems to be about bargaining. 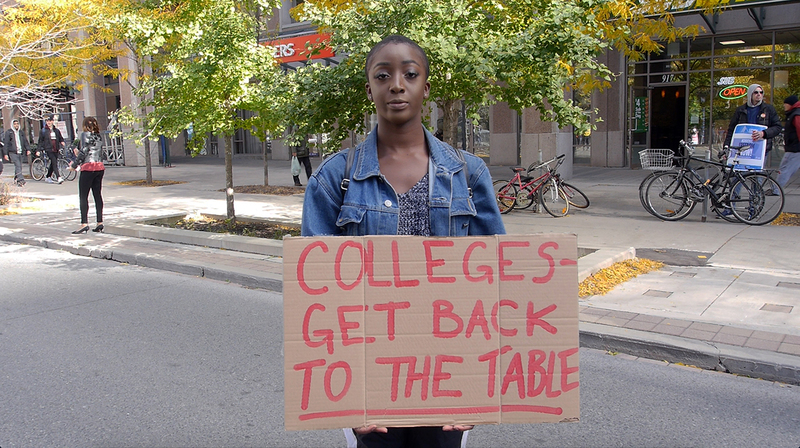 You can also check out the latest bargaining video. Your local executive is hard at work preparing for any eventuality, regardless of whether Monday features classrooms or picket lines. 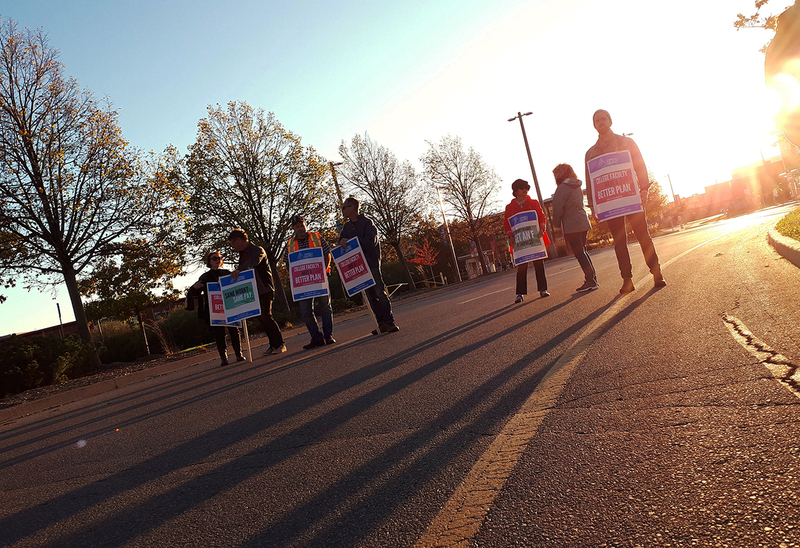 If you haven't already, make sure you sign up for your OPSEU strike pay at https://members.opseu.org. If you don't have your OPSEU ID number you can email office@local244.ca and we can help you out. If you want to keep yourself informed please email president@local244.ca with your personal email address if you haven't already so we can add you to the mailing list. The local cannot use college email, mailboxes, posters, etc… so a personal email address is the best way to keep in touch. 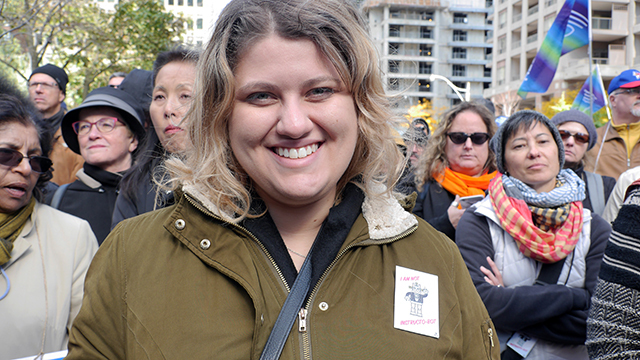 The latest bargaining update is here. The union bargaining team has requested additional bargaining dates, but the College Council is considering its options. Maybe they will finally consider the option of bargaining! The College Council recently distributed some “facts” about the current proposals. The Union bargaining team has analysed those “facts” and found them to be better classified as "fiction". There is also an important press release regarding the potential date upon which a strike COULD start. The bargaining team is still working hard to negotiate a settlement. 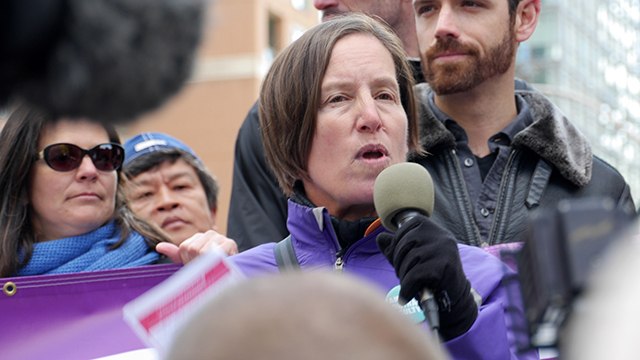 The latest bargaining update is out and it's a doozy! 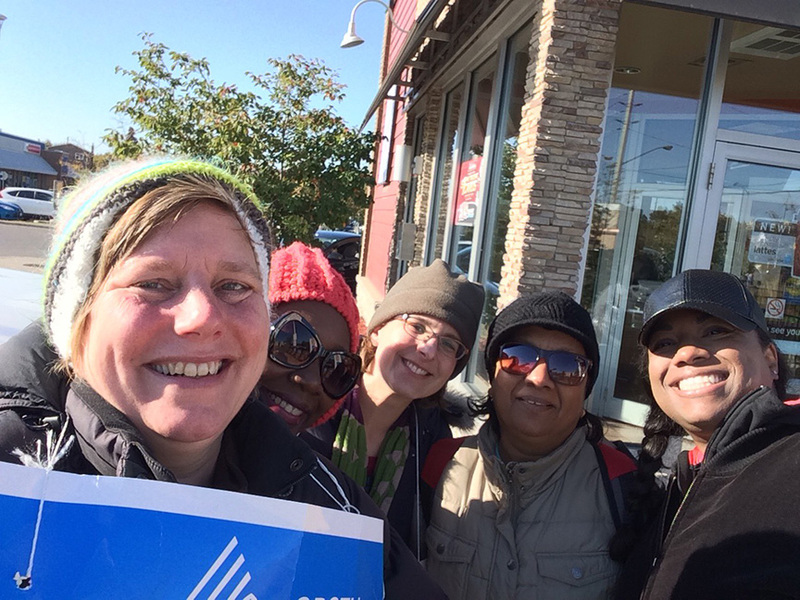 If you haven't created an OPSEU member account, head down to https://members.opseu.org. You will need to know your OPSEU number, which is on your OPSEU membership card. Make sure your current status is correct by checking “My Jobs” under “My Profile”. Under “Make Changes” you can update your contact information and, more importantly, enter your dependents. Under “Home Page” you can scroll down to “Online Forms” and click the “Direct Deposit Agreement” to ensure easy payment from the OPSEU strike fund. Now it's time to get down to bargaining! If you cannot attend at any of these times and locations, please, before the 14th, email me at president@local244.ca or call the union office at extension 4065 and ask for a mail-in ballot to either be sent to you through inter-office mail, or to your home in which case please supply us with your address. Please note: your ballot must be received by the OLRB before September 21. It will be a segregated ballot which will only be counted if the number of segregated ballots could change the outcome of the vote. At the end of the second round of meetings between our CAAT Bargaining Team and the Colleges' representative Council, we have an impasse. In the links below you can read our Team's summary of events and plans for going forward. We will be holding General Meetings across Sheridan on September 11 with a member of the Bargaining Team in attendance. Bargaining Begins in July. The latest Bargaining Team Update gives the background themes and forward looking goals to collegial governance that underlie our bargaining demands. Sheridan is a leader in this progressive initiative. 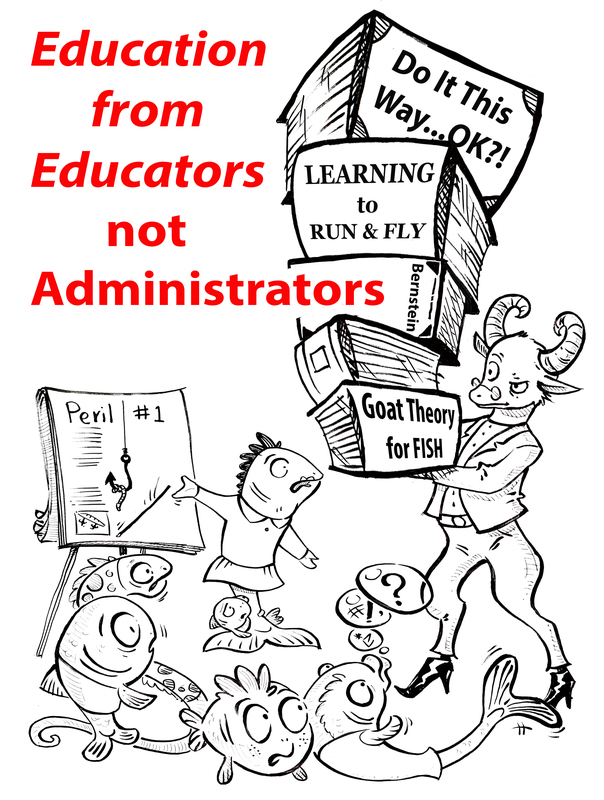 And here is a link to the Bargaining Team's Video on Collegial Governance. For those who wish to dig deeper into the history and rationale for the 2017 round of negotiations, I have sent a more comprehensive Bargaining Team letter to your off-campus email address. If you have not received that email, and wish to receive further private emails, please send your off-campus email address to office@local244.ca. Here is a quick synopsis of what will transpire between now and September 30, 2017, when our current contract expires. We bargain collectively as the Colleges of Applied Arts and Technology - Academic Division. We are a division of the Ontario Public Service Employees Union. 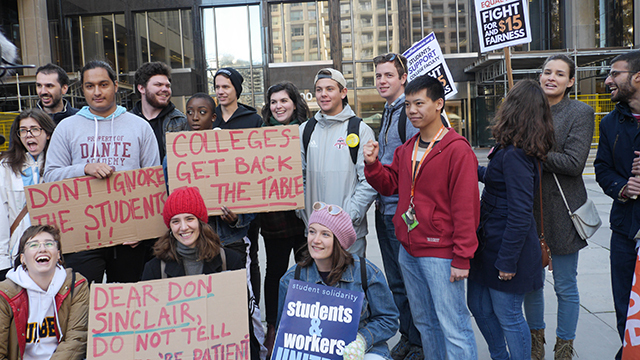 This past Fall, delegates from the 24 colleges met and elected a bargaining team. 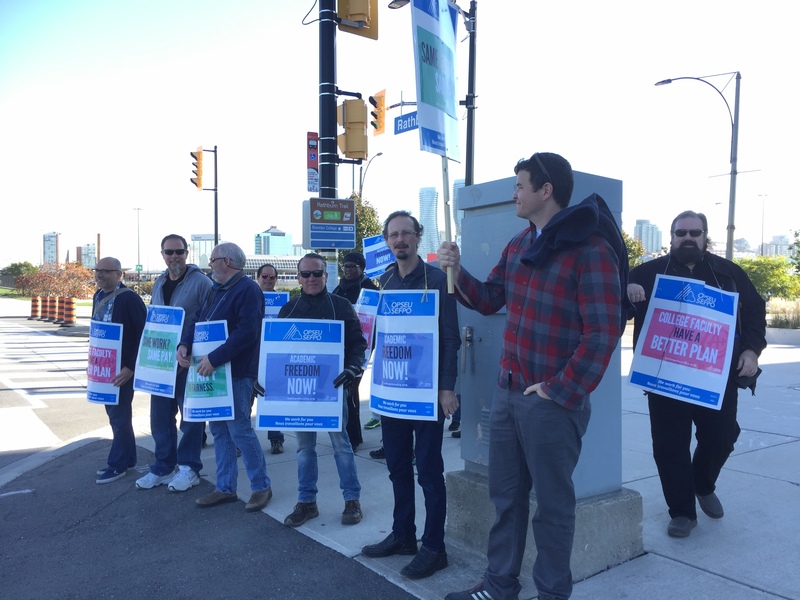 You can read about the whole process and about the membership of the Bargaining Team in their first Bargaining Bulletin found here - https://opseu.org/news/facing-challenges-together-caat-negotiations-bulletin-issue-1 . All Bulletins are linked to the column on your left. The Sheridan Survey results have been emailed to your personal email address. If you haven't sent us your personal email please do so as soon as possible to receive Local 244 correspondence, and confidential Bargaining updates. Looking to learn more about your SWF? Download this handy guide. You can also keep an eye on this space for an online tool that you can use.